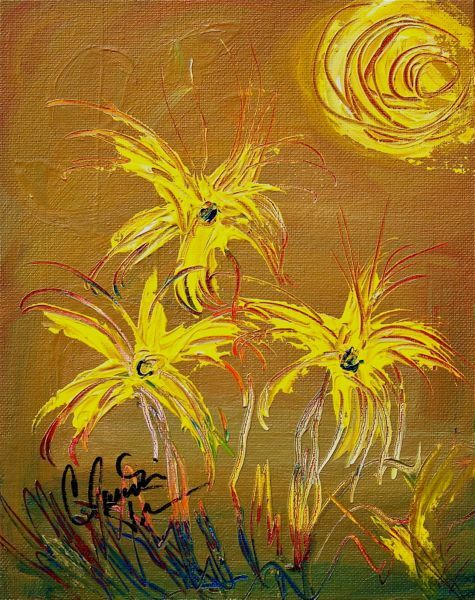 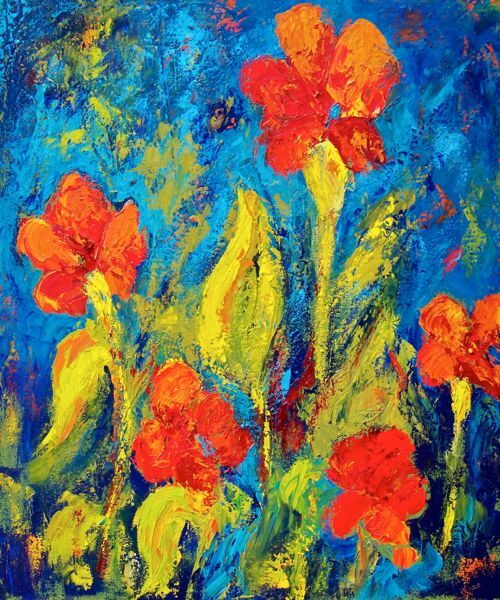 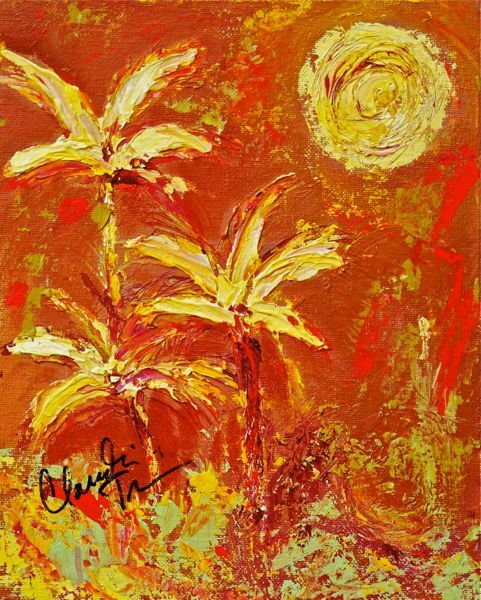 Claudia is known for her colorful, expressionistic floral paintings. 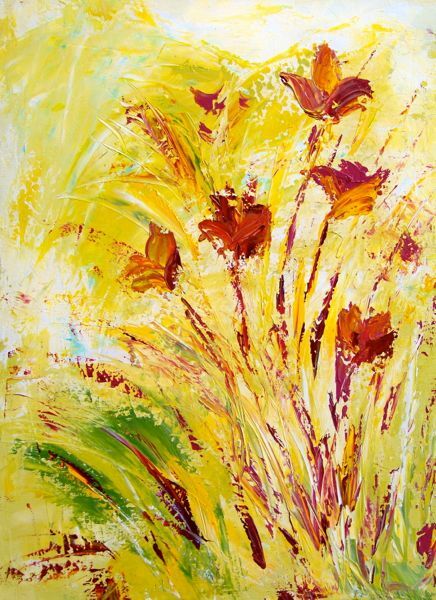 Enjoy this selection of some recent work! 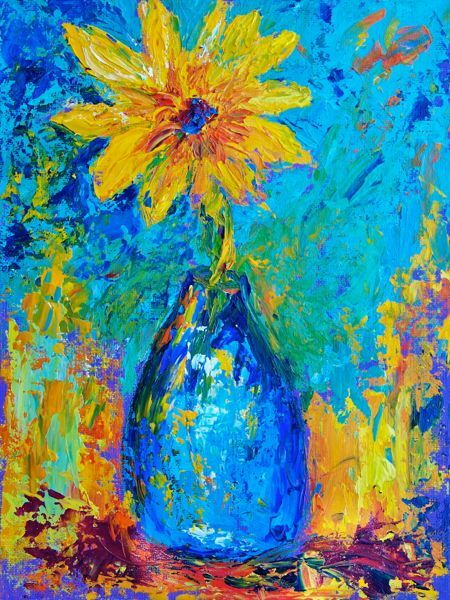 "Tall Orange Flowers & Vase"
"Tall Yellow Flowers & Vase"